An erupting volcano in Vanuatu has sparked an unprecedented evacuation of an entire island. All 11,000 residents of Ambae have been told to leave and will be moved to other islands in the Pacific state. The Manaro Voui volcano, which has been rumbling for days, began spewing ash in a "moderate eruption" over the weekend. A state of emergency has been declared on a Vanuatu island in the Pacific Ocean as the threat of a major volcanic eruption forced at least 11,000 people to flee their homes. According to the Associated Press, a state of emergency was declared Monday after a recent flurry of activity at the Manaro volcano on Ambae island raised fears that a major eruption was imminent. The volcano on the island that is home to 11,000 and located between Australia and Hawaii has been active since 2005, but an increase in activity, including rocks and gas spewing from the volcano, prompted authorities to raise the activity to Level 4 for the first time over the weekend, indicating a "moderate eruption" risk, the second highest level in Vanuatu's volcanic alert system. "There's ash, fire, stones and lava being thrown out from the mouth of the volcano," Shadrack Welegtabit, the director of Vanuatu's National Disaster Management Office, said Tuesday of the recent activity. 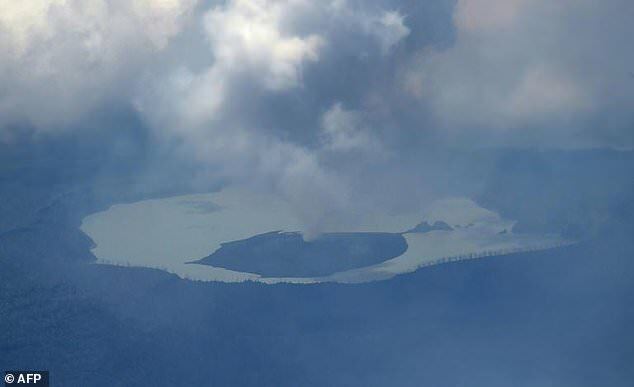 "There's a lot of activity going on," Welegtabit noted that it's impossible to say whether there will be a major eruption, but it was better to be cautious. "With the seismic machine, we can measure what's happening but we can't really predict what the volcano will do next," he said. Australia's ABC News reports that the government of Vanuatu approved $2 million in funding to provide food, shelter and water for evacuees.